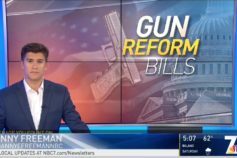 The plea to discontinue the show, part of a broader resolution the council approved Monday calling for "responsible gun safety regulations," comes just days before a worldwide demonstration against gun violence prompted by last month's deadly school shooting in Parkland, Fla.
"What's really at the heart of this is the national trauma," said Mayor Dwight Worden, referring to the string of school shootings, including the one in Parkland, where a troubled former student killed 17 people. 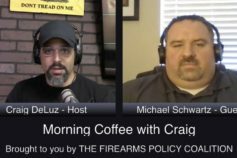 Another school shooting occurred Tuesday morning, this time stopped by what many firearms advocates call "a good guy with a gun." An armed school resource officer at a high school in Maryland shot and killed a 17-year-old student who, brandishing a handgun, had shot and wounded two other students in a hallway. Many people are praising the officer's reaction, saying he stopped what could have been a worse tragedy. So far, the board has given no indication it might cancel the show's contract, which for now extends through 2018. "We should strongly suggest that the contract not be renewed, or do whatever we can to assure that we not have a gun show at the fairgrounds," Councilman Dave Druker said. 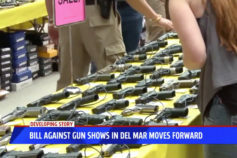 The two-day Crossroads of the West Gun Show, one of the largest in Southern California, draws thousands of people to the Del Mar Fairgrounds, most recently over the past weekend. 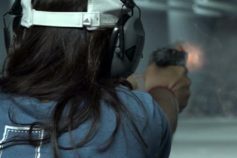 Crossroads also holds gun shows in San Bernardino, Costa Mesa, Ontario and elsewhere across California, Arizona, Nevada and Utah. 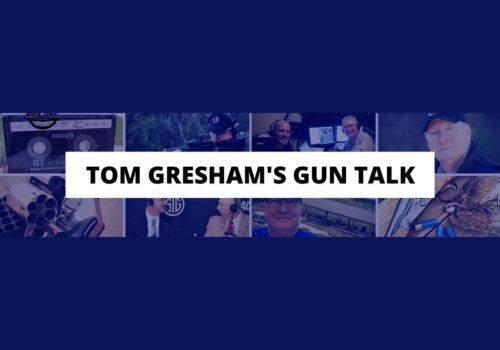 Gun purchases at the shows require a background check and a minimum 10-day waiting period. Ammunition, knives and other weapons can be purchased and taken home the same day. 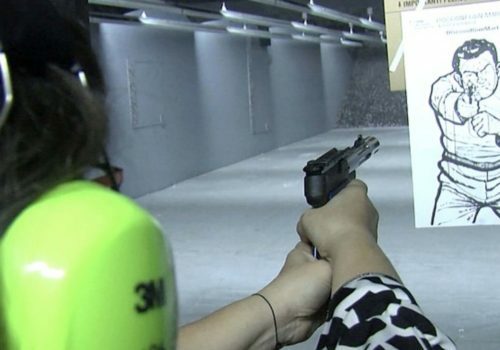 Residents of San Diego County, with its strong military presence, have long backed their 2nd Amendment rights. 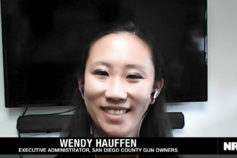 The political group San Diego County Gun Owners, formed in October 2015, has quickly grown to about 1,000 paid members and lists Coronado, La Mesa, Santee and Vista City council members on its 30-member board. The group's executive director, Michael Schwartz, was highly critical of Del Mar's decision. "It's a knee-jerk reaction," Schwartz said Tuesday. "I don't think they've done any research." The gun show has been "a fantastic customer" of the fairgrounds, he said. It brings thousands of patrons, obeys all the rules and causes no problems. 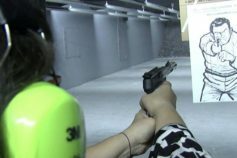 "The gun show is where responsible, law-abiding gun owners go to learn about shooting and sign up for safety classes," Schwartz said. He called it "laughable" that the fair board might end the gun show. 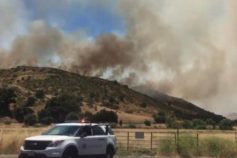 Fairgrounds Public Information Officer Annie Pierce said Tuesday the "Board of Directors is certainly aware [of Del Mar's request] and will consider it." "A board member would need to request for it to be put on the agenda, so we won't be certain if it'll be on there until their April agenda comes out," she said. 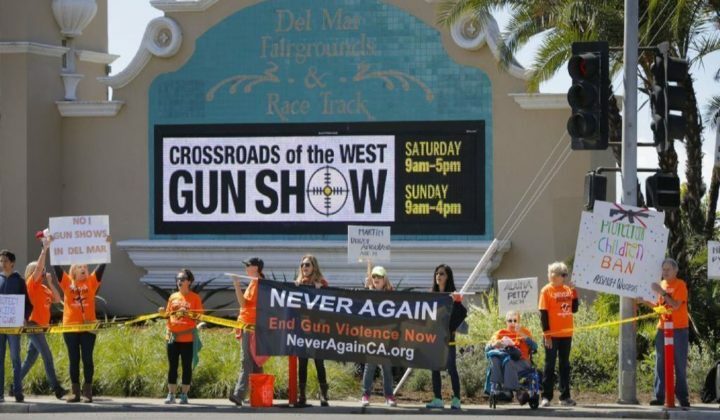 Several Del Mar council members took part in an anti-gun demonstration with a total of about 80 people outside the show on Saturday. Two public speakers, both wearing orange T-shirts emblazoned with "Never Again," spoke to the council Monday in support of banning the gun shows. 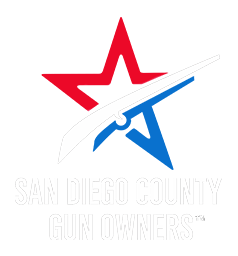 "We do not want gun shows at the Del Mar Fairgrounds," Rose Ann Sharp, a Del Mar resident and one of the demonstration organizers, told the council. The Crossroads show has been held at Del Mar for 28 years and has many ardent participants. "If they can't end it, maybe they can increase the age for admission," said Councilwoman Ellie Haviland. "It doesn't have to be all or nothing. 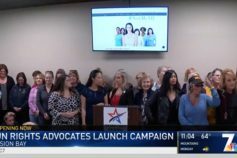 If we are told no, let's continue to push for anything we can do … to limit exposure to children … or to the community." 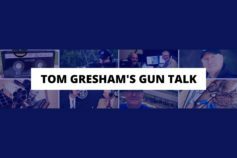 Gun safety advocates have demonstrated outside the show numerous times since the Sandy Hook Elementary School shootings in Newtown, Conn., that killed 20 first-graders and six adults in December 2012.